NHS occupational health services cannot be sustained against a backdrop of continuing annual reductions in funding, occupational medicine and occupational health practitioners have warned. In a joint submission to NHS England’s consultation Developing the long-term plan for the NHS, the Faculty of Occupational Medicine, Society of Occupational Medicine and NHS Health at Work Network painted a grim picture of increasing workload and stretched capacity. 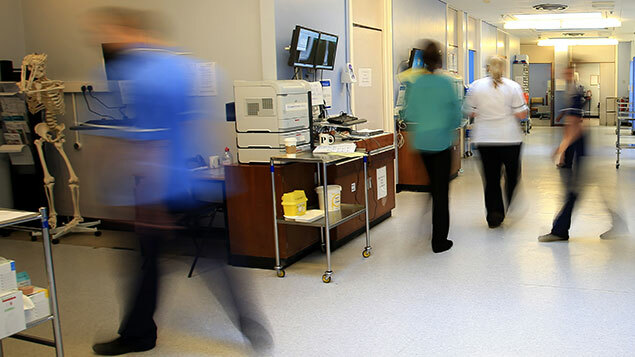 “We call for investment in OH services, ensuring that all NHS staff and organisations have access to OH delivered by a multidisciplinary team, ideally with clinical leadership from an accredited specialist in occupational medicine,” it said. It warned the situation was being compounded by a “serious” shortage of specialists in occupational medicine, highlighting that the number of NHS occupational medicine consultants had declined from 80 to 60 over the past two years. “We call for core OH functions to be provided to all NHS staff to a standard which meets SEQOHS accreditation, as recommended by NHS Employers but never enforced by NHS England,” the three bodies argued. 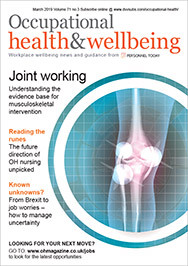 A cross-NHS occupational health workforce study should be carried out “to identify and understand the current skill mix and an academic study to look at the optimal funding for OH to give the best ROI”, they added. The consultation, which ran to the end of September, was prompted by the government’s recent announcement of additional funding for the NHS, and was gathering views about how best to spend and allocate this money to maximise this extra resourcing.